Midnight came and went, and still the group of students remained huddled around a table, deep in earnest conversation. Strewn across the room were discarded wires, gears, nuts, and bolts mingled with Chinese takeout containers and soda bottles. A hush fell over the group as one bold student reached toward the center of the table, took a deep breath, and flipped a switch. In an instant, the high-pitched whirr of a motor rang out, echoing across the nearly deserted space. Gingerly, the stocky, four-legged robot sitting on the table wobbled slightly as it rose to a standing position. It was also the moment that rescued this John A. Paulson School of Engineering and Applied Sciences student organization from the brink of dissolution. The club, which had dwindled to only a few student members, had been unable to complete any robots the previous year. With a renewed sense of purpose, club members poured their hearts and souls into this new robot, a BB-shooting Mech Warfare battle bot that went on to outgun a dozen other team’s machines on its way to a decisive victory at the Shepherd University ShepRoboFest the following spring. The victory, and the shared experience of working alongside peers to accomplish a seemingly impossible task, fueled the students’ passions to work harder and launched a new chapter for HURC. Nearly two years have passed since that initial Mech Warfare victory, and the organization now boasts more than 100 members and has launched eight project teams to design and build robots for local, national, and international competitions. A new project this year, the Chem-E-Car, focuses on the development of an autonomous, shoebox-sized vehicle that is fueled and de-accelerated by chemical reactions. Previous research has shown that the sudden change in light intensity from an iodine clock can be used to stall vehicle movement, explained project manager Julie Ortiz, S.B. ’19, a mechanical engienering concentrator. The HURC team is looking to incorporate additional innovations into their design, such as integrating biosynthetic reactions into the system, she said. The vehicle, which will participate in the American Institute of Chemical Engineers competition this spring, must safely carry a specified cargo over a certain distance. Accelerating the vehicle is a relatively simple task, Ortiz said, but using a chemical reaction to stop the car is much more complex. Reaching the finish line requires precise mathematical modeling. 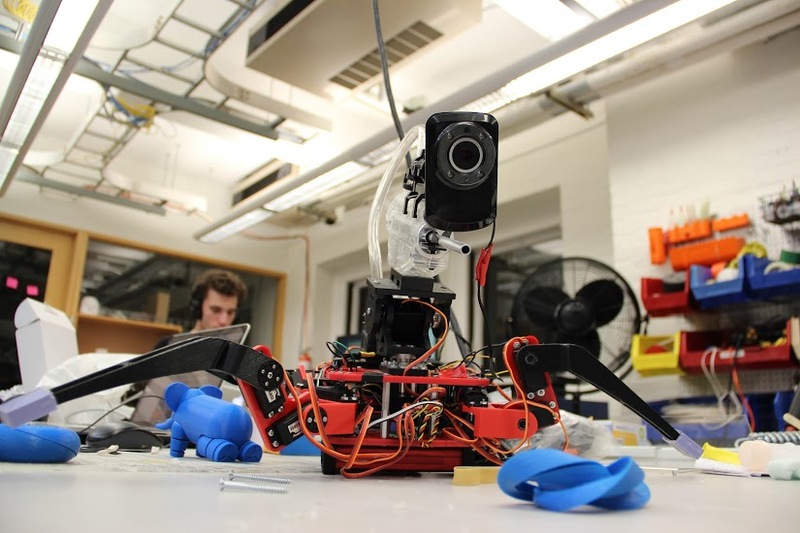 Another new project challenges students to design and build a tethered, underwater remotely operated vehicle (ROV) capable of carrying out missions modeled after real-world scenarios. The club’s ROV will dive alongside robots from across the country in an annual competition sponsored by the Marine Technology Education Center in Monterey, Calif. The vehicle must be able to operate in both fresh and saltwater as it locates the wreckage of a vintage airplane and brings the engine back to the surface. While one team of students troubleshoots problems that might occur deep below the ocean’s surface, another contemplates the implications of exploring different planets. 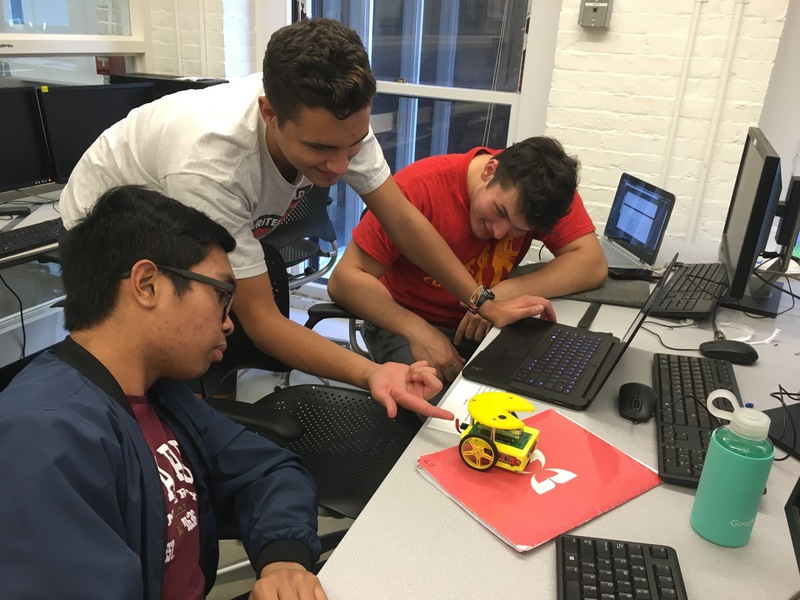 This project team is designing and building a Mars rover for the University Rover Challenge, an international competition sponsored by The Mars Society. The rover must be mobile and lightweight, with a precise articulating arm, and able to communicate effectively and consistently with human operators located a kilometer away, explained project manager Robert Anderson, S.B. ’19, a mechanical engineering concentrator. Accomplishing such a daunting task is only possible with a dedicated team of students who are willing to step up and learn new concepts and techniques, he said. Flashy robots may be what most students think of when HURC comes to mind, but the club takes great efforts to also provide its members with a solid educational foundation, said social chair Timothy Tamm, A.B. ’18, a computer science concentrator. When the team began that initial Mech Warfare robot, they had no idea how to translate output from a joystick into a series of movements for the 12 different servo motors that would make the robot walk, Tamm said. They ended up buying a toy robot and, through many late nights of trial-and-error, were eventually able to mimic its movement with their own machine. That experience taught Tamm a great deal about the design engineering process, in addition to technical skills like using an Arduino and a Raspberry Pi; devices he had not used before his work with HURC. 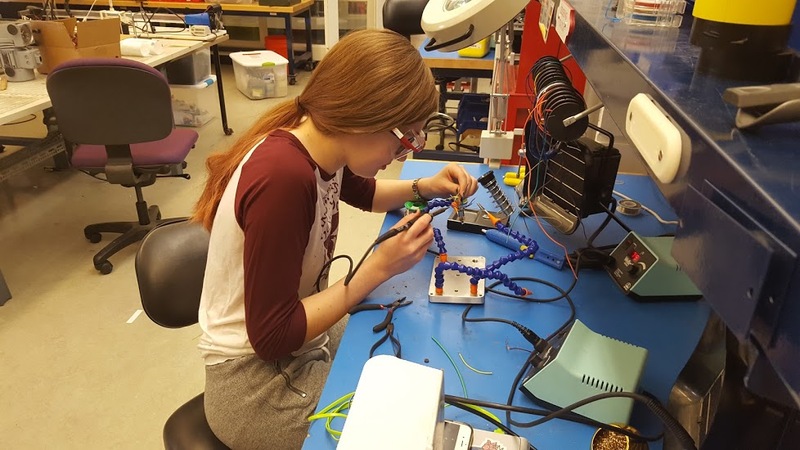 In a similar fashion, Ortiz learned to use the PCB design software platform EAGLE, and how to integrate that software with a breadboard, during tense, last-minute design changes for last year’s Micromouse project. Colt-Simonds, as the only electrical engineer on last year’s Pacbot team, helped his teammates develop wiring and soldering skills as they worked against tight deadlines. Adham Meguid, A.B. ’20, said he developed confidence as HURC members guided him through projects that were far beyond his level of expertise. The tips and techniques he gained from peers have given him a leg up in his engineering courses. Mentorship is a critical aspect of HURC, and project leads often take younger students under their wing to teach them the concepts they will need to succeed. In addition, students are pushed out of their comfort zones through robotics projects, Tamm explained. Project managers strongly encourage team members to work on a part of the project outside their concentration or expertise. The club has expanded and formalized that training by launching a weekly seminar series, which helps students build technical skills. HURC members present on topics ranging from circuit building, to mechanical design for rapid prototyping, to effective use of Github. In addition to bolstering members’ robot-making skillsets, the seminars give students a chance to practice their presentation skills, Tamm said. In addition to providing technical training, HURC enables members to develop “soft skills,” such as time management, collaboration, project management, and accountability. In a career, emotional intelligence can be just as valuable as technical expertise, Tamm said. That has proven true for alumnus Shaan Ericksson, S.B. ’17, an electrical engineering concentrator who currently works as a project management associate at the enterprise software firm Piano. The most valuable lessons he learned from HURC include collaboration and the ability to approach problems from different angles. 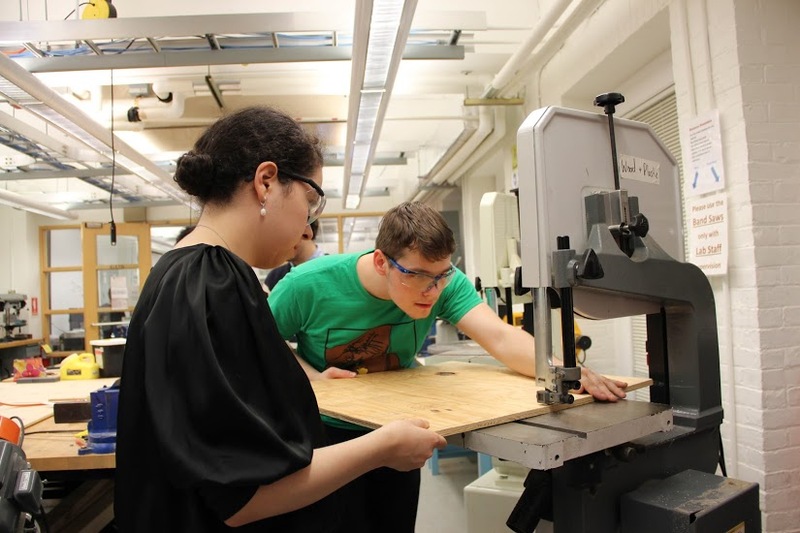 HURC doesn’t force students to learn new skills, but rather members often take initiative and want to learn so their projects succeed, Bryk said. The students’ dedication, as evidenced by the long hours outside of class and many late nights they spend together in the Active Learning Labs, also speaks volumes about how much the club means to its members, said John Alex Keszler, S.B. ’19, an electrical engineering concentrator and manager of the Robocup project. Keszler and his team have spent dozens of hours working together to design and build miniature soccer playing robots that will compete in Montreal this summer. In a nutshell, that’s how Bryk, Tamm, and their peers see the value of HURC. It acts as a catalyst to unite students around a common goal and teach them valuable lessons as they strive for success together. Like the robots they create, HURC is much more than the sum of its parts.